When most people decide that they want to buy a house, the first thing that they do is head down to their local bank where they hold their current account to check if they are eligible to take out a mortgage. While this might seem like the most sensible thing to do, it might not be the wisest. Although your own bank might seem like the best bet for getting a mortgage – as with most other things – you could save yourself a lot of money in the long run by shopping around to find the best deal instead. While there are several financial comparison sites on the internet which can help in this regard, many of these sites don’t list all of the available mortgage deals out there. Instead, many will only list or highlight those from lenders that will give them a commission if you proceed with the mortgage. It can also be tough to work out which is the right deal for you on a site like this. So, where can you find all of the best mortgage deals available? My advice would be to find yourself a good mortgage advisor or broker. But where can you find a good local mortgage broker? Here are a few tips to help you in your quest. The internet has simplified the process of getting financial advice in many ways. Firstly you can now sort out your mortgage online with an independent online broker like habito*. Alternatively, you can also connect with a local financial advisor using a website like Unbiased.co.uk*. Unbiased can put you in touch with a local mortgage advisor at no cost to yourself and you can have the peace of mind in knowing that every advisor listed on the site is regulated by the FCA. When looking for a mortgage broker I would always try and go for one who is a ‘whole of market’ broker, as these kinds of brokers have access to every available deal and are not tied to just a few different lenders. Another great way to find a good local mortgage advisor or broker is to ask trusted friends or family members whether they have dealt with anybody good themselves. Some people might not like the idea of doing this as they don’t want to share their financial plans or goals with people that they know, but if you don’t mind people knowing that you are looking to buy a house, then having one of your friends or family members recommend a good advisor could be a great way to find a mortgage advisor in your area who has a good reputation. 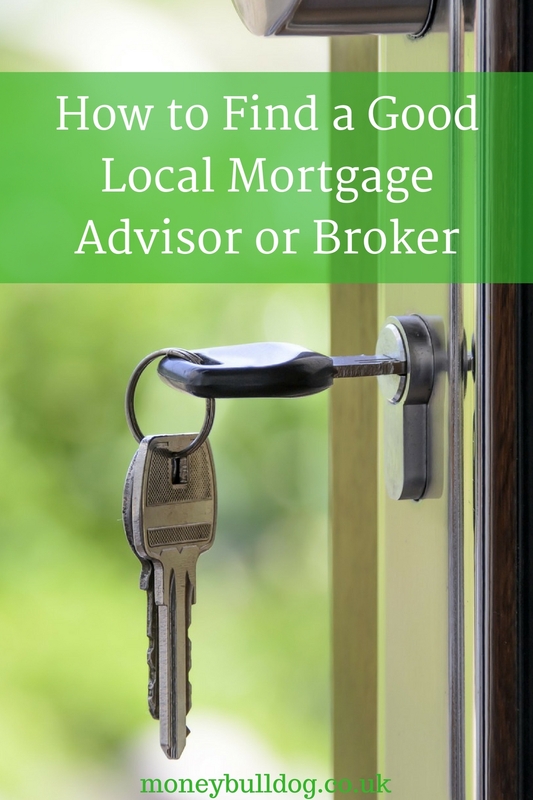 Of course, you could simply input the term ‘mortgage advisor’ or ‘mortgage advice’ into Google or Yell.com to see a list of brokers in your local area. Both Google and Yell also give you the ability to see ratings and reviews of the advisors they list if customers have taken the time to leave a review, but these should be read with caution as there are a lot of fake reviews on the internet, so it would be wise to use discernment. So, there we have 3 simple suggestions to help you in your quest to find a good local mortgage advisor or broker! Why The Best Mortgage Rate Is Not Always The Best Deal!